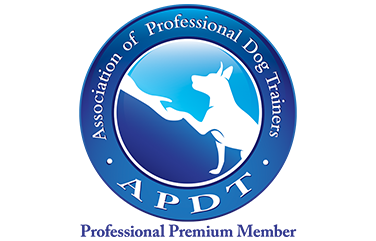 We know choosing a dog trainer can feel like an overwhelming and confusing task. Your dog is family, and you want to feel confident that whomever you choose will treat you and your dog with kindness and respect, while also providing you with practical, effective training solutions. At Instinct, we want to make your job easier and give you peace of mind by requiring that every Instinct trainer and behavior consultant holds a respected industry certification and pledges to adhere to our rigorous internal policies and standards for welfare-focused, positive reinforcement-based training and care. It’s the standard we would demand for our own dogs, and it’s what you deserve for yours. *If a trainer has the requisite experience and knowledge, they may be hired as an Instinct Trainer while working toward any of the above-mentioned certifications. 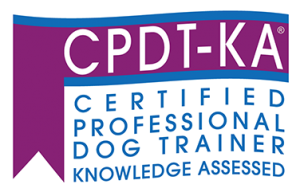 Certification must be obtained within 1 year of the trainer’s hire date. In addition to holding reputable industry certifications, Instinct trainers and behavior consultants participate in ongoing internal continuing education programs. 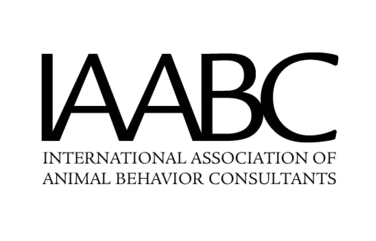 They have access to our Instinct Behavior Leadership Panel, comprised of board-certified veterinary behaviorists and certified dog behavior consultants, to provide help and guidance with especially complex and challenging cases. Instinct trainers work in a supportive team environment, where knowledge-sharing and group brainstorms are encouraged. At Instinct, you and your pup have access to a WHOLE TEAM of professionals who are committed to finding just the right recommendations and solutions for you and your dog.